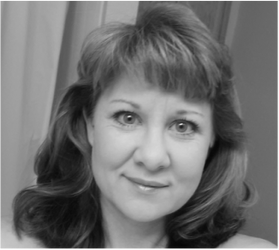 Hi, my name is Judy and I’m organizing genius, paperwork and office specialist who teaches you how to set up simple systems that are easy to maintain. I love the adventure of figuring out how to do new things and how to put things together (a remnant of my past as a Construction Estimator). I am a mom (always) to my two adult kiddos. I have a wonderful man who always supports me and makes every day better just by being there. In my free time, I love to eat Mexican food, watch crime shows & play with my two kittens. I can’t wait to get to know you and help you love your space…at home, at work and at play. Organizing has always been a passion of mine and it comes naturally for me. I really enjoy the process and is something I never get tired of doing. I’ve always been an organizer at heart. I straighten brochures on the counter at offices. I put items back where they’re supposed to be at the store and I love cleaning out junk drawers, the messier the better! An organized space inspires peace of mind, improves creativity and encourages productivity without distraction. Being organized creates more time for what really matters! I have completed various Professional Organizing and other training programs to expand my knowledge, skills, and abilities. These include areas such as Productivity, Time Management, Budgeting, Accounting, Taxes, Digital Storage, Photo Archiving, and of course lots and lots of organizing ideas and solutions. Many ask me if my home is always in order or if I’m a neat freak. The answer is “Yes, and no”. As you know life gets busy and sometimes I let things go. However, it is very quick and easy to clean up and put things away because I’ve created a home for everything. My life has been filled with opportunities to implement this talent and skill of mine. For years, I have worked with individuals and families to help organize their belongings and simplify their lives. I’ve also worked with businesses to set up systems that streamline the flow of paperwork or processes. In my early adulthood, I found myself in the career as a Construction Estimator & Project Manager. I can easily see how large jobs can be broken down into achievable tasks, how things can fit into a space (or can’t!) and out how to put things together. But my work in Construction didn’t offer me the joy I feel working with others making a difference and having a positive impact on others lives. So when an opportunity to make a change came along, I decided to pursue my dream of being a Professional Organizer! I didn’t know anything about building a website or where to find clients, but I made the jump because I knew it was my passion. Thankfully, everything has worked out better than I could ever have imagined. I love the connections I’ve made with my clients and watching how their lives improve through organization! Professional Organizing has given me a rewarding career sharing what I love. I understand the sensitivity of the work I do and will respect your privacy and keep all your information confidential. My goal is to make a very positive impact on your quality of life and help you create a space you love! I am amazed at the changes I’ve seen in my clients and would love to help you make changes too.